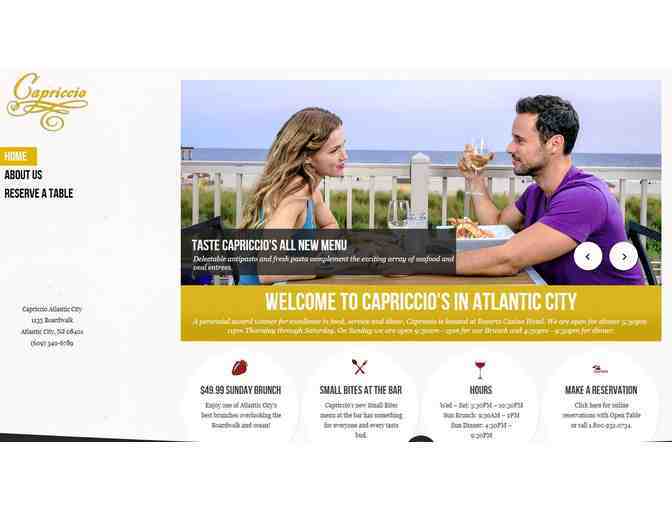 Brunch for 2 at Capriccio in Atlantic City. Make a reservation in advance and please bring letter/certificate the day of reservation to redeem. Alcohol, Tax, and Gratuity are not included.